Mooi en evenwichtig, zo zie je maar terug naar de basis levert verrassende resultaten op. Ondanks de vele kleine vakjes die je ook nog eens allemaal met verschillende patroontjes hebt gevuld, vind ik de uitstraling van de tile erg rustgevend. I like your choice of patterns, they compliment each other nicely. I like that there is plenty to look at without the tile being too cluttered. Very nice! This turned out so nice. I especially like the shading on your orbs. 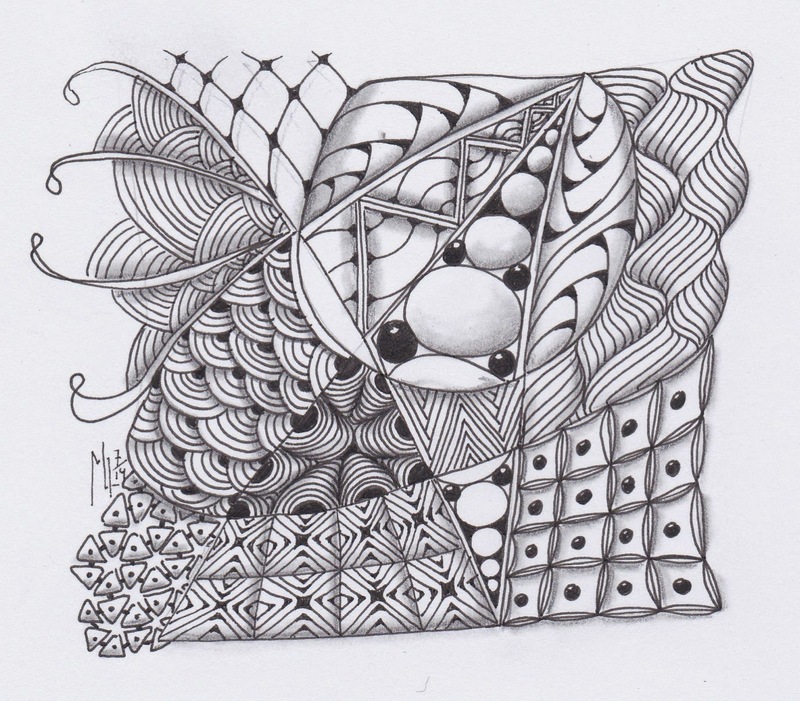 Ook ik voelde erg het 'basis zentangle' idee en vond dat prettig. Jouw tile is erg mooi geworden. Beautifully balanced with your lovely style. Beautiful use of Patterns. Love your style. Absolutely gorgeous! Great choice of tangles! Beautifully done! i really like that section of shattuck and fescus - they flow together so well! Great combination of tangles brought to life with your shading.